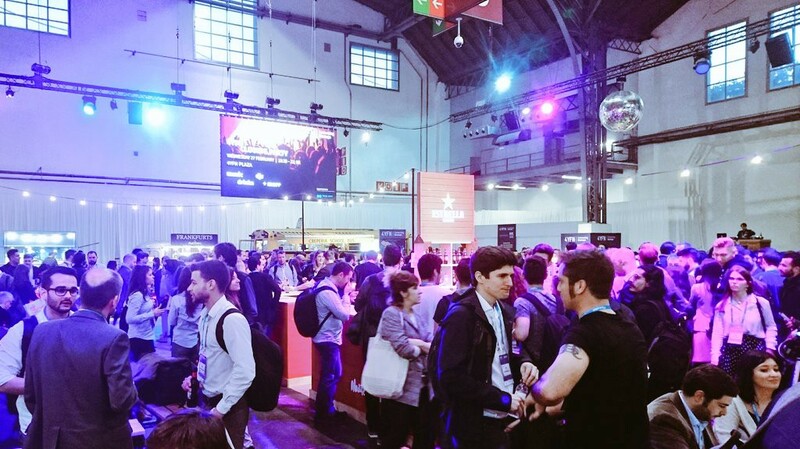 It visited 4YFN conference for the first time and the overall experience was impressive: A nice venue, a crowded startup village and the amazing city of Barcelona serving as perfect environment for after-conference hangouts. Also, the quality of talks and discussion on the six stages was IMHO qualitatively better than at comparable events — with only a low level participation of German startups and corporates. One exception was the talk by N26 founder Maximilian Tayenthal that captivated the audience with successful growth rates, ultimately announcing even further expansion to the US and Brazil in 2019. Maximilian is convinced that incumbent banks are unable to build the customer-centric financial services of the future. I am amazed how many things have improved since my first longer stay in Spain in the year 2005. Overall, it has become so much easier to get organized and find interesting contacts. Every night, 4YFN offered free drinks in the networking area for conference visitors — a fact that German startup events should take as a role model. In addition, Barcelona has a vibrant Meetup.com scene, making it easy to connect with like-minded people. Since my last longer stay in 2016, Barcelona has continued its journey to transform from a top location for freelancers and creative people to a startup hotspot in Europe and the Mobile World Congress has created a big ecosystem of tech companies. Albeit the various distractions, the relaxed lifestyle and the availability of skilled personnel make it attractive for companies to open a subsidiary in Barcelona and ultimately convince people to move to the city. Last year, also N26 opened a developer hub in Barcelona. Coworking spaces seem to have mushroomed. At least, Sagrada Família remains unfinished. Finally, 2019 was also the first time my mobile plan allowed me to use my phone in Spain without additional restrictions and costs. What I pity that many Europeans do not experience progresses of the European community through travelling and getting around. I am thrilled what comes next and how everything will be shaped four years from now. Hub Manager @DigitalHubMs, organizer #MSHACK19, connecting #Startups and #Mittelstand, promoting #Digital Business Models and other things with Internet.